Our sages of time coined the term Pancha Maha-Bhoota meaning 'Five Great Elements', the spectrum on which everything in our lives revolve i.e Space, Air, Water, Sun and Earth. Much like these five great elements of nature that govern our beautiful world, the universe of PKSBE is also governed by five distinct elements. It is these elements' seamlessly working together nature that makes PKSBE a truly radical school. The one who is infinite in his thoughts and creativity, Prahlad Kakar symbolizes Akash, (Space). He is the cosmic energy, under whose safe haven, the other elements shine. Wisdom, creativity and dynamism is what Prahlad brings and that adds spark to leadership. Pratish Nair the second most important element at PKSBE, representing Vayu, (Air). Just as Air is needed for sustenance, Pratish is the oxygen through which all strategic activities of entrepreneurial learning and filmmaking at PKSBE breathe life. Pratish can either be a gentle breeze or a whirlwind when motivating students to reach their potential. Jal (Water), which nourishes life and quenches our thirst is symbolically represented by Reah Irani. She gives the PKSBE universe the much needed tranquility to tackle all problems with ease. Like water, she is an agent of change and counsels parents, teachers and students alike. What would our Universe be without the Agni (Fire) The most vital source of energy at PKSBE is Priya Menon who like the Sun brings light into the lives of its students. With her vibrant energy she is able to nourish and transform student's lives for the better. Mitali Kakar represents Prithvi (Earth). She is the magnet that keeps all the elements in conjunction with each other. Like Earth, she gives structure and shape to all the programmes in PKSBE. Just like the Pancha Maha-Bhoota of nature, the core team and founders are the building blocks on which PKSBE students turn their dreams into a reality. Through the years, these corporates have continued to communicate their brand stories with Prahlad making films that capture the dreams and aspirations of people. Memorable campaigns which created history and to date remain in the hearts and minds of everyone who grew up watching these campaigns.Prahlad has won several awards for technical excellence, Innovation and creativity in advertising over the years . Genesis won both Gold and Silver awards including "Campaign of the Year" for the Pepsi commercials at AAAI . His Public service films for Ceat, won awards in the New York Festival of Advertising. Commercials directed by Prahlad have also been nominated for Lions at Cannes. Within 20 years of his career Prahlad Kakar earned himself a Lifetime Achievement Award by the IAAFA in the year 1999 and has got Genesis the top Production House for 2 years in a row for years 2003 and 2004 by Brand Equity. Prahlad's aesthetics andsensibilities have found shape and form in the hundreds of films done over a career that spans over 38yrs.. His impeccable story-telling, centered around the product, has always been the key to his success. Prahlad's passion for the Ocean initiated him to start Lacadives against all odds. It is the first Scuba Diving School established over 3 decades ago in Kadmat, Lakshadweep Islands in 1993. Years later Lacadives has established its presence in theAndamans islands. Today he is expanding into the adventure and wellness space as he sees this as an ever growing opportunity across the globe. 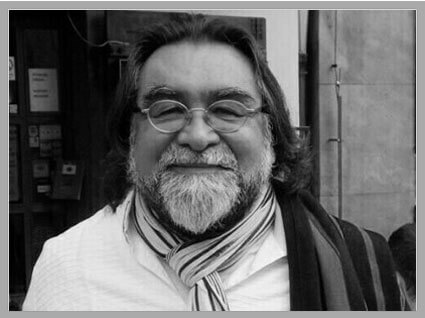 His passion for cooking led him to run signature restaurants and a tea lounge with his own brand of gourmet cooking .A staunch believer in living large, Prahlad Kakar's passion for food and people has proved instrumental in his association with a variety of restaurants, enabling him to introduce diverse tastes and styles of dining to the city of Mumbai. 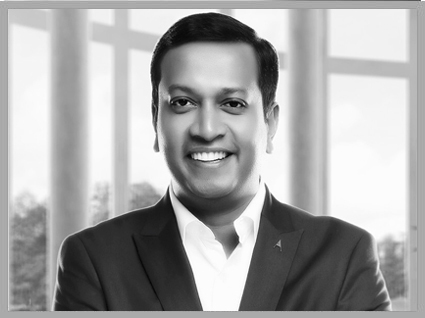 Today the innovative corporate, Ad guru, Branding Strategist, Chief mentor, is a Board member of some companies and is involved in providing innovative 360 degree solutions and brand building various products and services for leading Corporates. Creative workshops, Motivational and Leadership interactive sessions for students, middle management and top management executives in providing marketing solutions and focusing on the Company's growth story. Including, SMEs, government agencies and Corporates to deal with current issues and future challenges. Sometimes you just need that one person who adds perspective to life and enables one to understand the meaningful purpose life holds. That one person at PKSBE is the Co-Founder & Managing Director, Mr. Pratish Nair. He brings along his vision, passion and creativity to help students reach their ultimate potential. Terming him as a transformational coach would be to undermine his galaxy of creativity that streams from storytelling to movie direction to script writing to strategic activities for entrepreneurs and filmmakers. He is a creative powerhouse that has redefined the word 'Corporate Training'. He infuses wit, scientific knowledge and deep insight into all his programmes to a style that is incredibly unique, almost like a biometric fingerprint. Pratish spends a large quantum of his time in the company of children who he believes are the purest form of creativity. He puts tremendous impetus to help people get in touch with their inner child. Over the past 14 years, Pratish has mentored over two lakh corporate professionals, creative artists, leaders, techies and CEOs to reach beyond their caliber. The thunderous laughter that fills all his workshops authenticates his witty nature. He believes laughter opens the doors to learning and he leaves no stone unturned to make the most of it. 'To live beyond fear' remains his favorite guideline in life. Serendipitously, his name also means 'Brave'. Armed with an MBA in Marketing and a certification from the Chartered Institute of Marketing (UK), he started out on his entrepreneurial dreams with nothing but encouraging parents, pure passion and courage. His successful entrepreneurial journey ventures in corporate training, creatively curated events, logistics management, exports and filmmaking, making him a name to reckon with in the business. He has written, directed and produced several creative plays and short movies. To give wings to his passion he started his own film production house that produces Malayalam films. This stands as a testament to all the enthusiasm he puts into making a dream come true. Everything in his life is backed with passion, creativity and determination. Like a beautiful tapestry, Pratish has interwoven his innate talents and skills to help others weave their own destiny. Mitali Dutt Kakar, has been the driving force behind Genesis Film Production Pvt Ltd, since 1984 and is considered as one of the most experienced and resourceful producers in the advertising film production business. 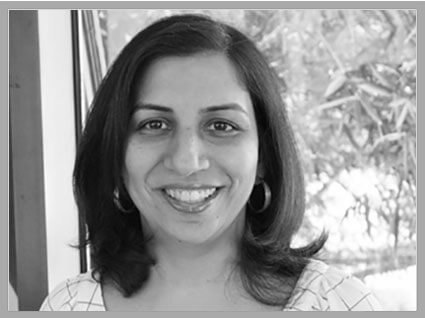 Today, she is part of the core strategy team for corporates and SME's along with her husband, Prahlad Kakar. She co-founded Reef Watch Marine Conservation, spreading marine awareness through education, documentaries and research. 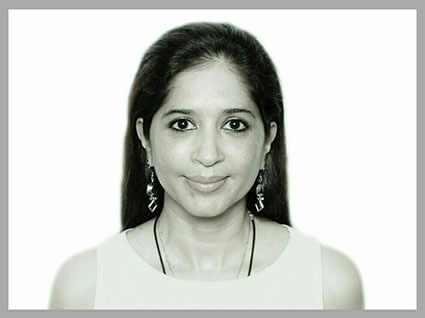 If there is one person who can help people take a conscious decision about their life, it has to be the Director of Marketing and Communications, Ms Priya Menon. With an MBA in Marketing, she is an accomplished entrepreneur, life coach and celebrity talent manager. Her story is every entrepreneur's dream. She started her own corporate training company, over 15 years ago, specializing in leadership skills, CEO coaching and behavioral programmess for top multi-national companies in India. Her passion and flair for marketing earned her key projects with Infosys, Wipro, Godrej, Dell, Siemens, Deloitte, Cap Gemini, Volkswagen and JP Morgan to name a few. 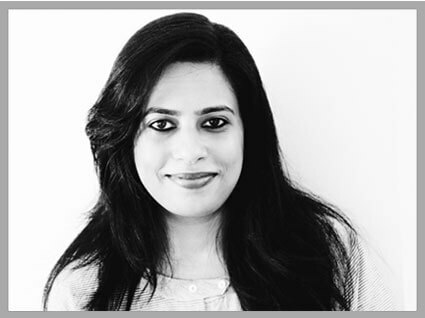 Ms. Reah Irani, Co-Founder and Director Operations, is your 'go-to' person. She's the one point of contact that makes PKSBE endearing. Her aura exudes calmness that in her presence one feels protected. It's for this very reason that she counsels teachers, students and parents alike. Reah is the glue that keeps the PKSBE family of parents, teachers and students together. She is an indispensable human factor at PKSBE. Reah believes education is the key to set dreams right especially when it is backed with passion. Her journey into the educational world of teaching started over 15 year ago after she completed her MBA in Advertising and started her very own montessori school for tiny tots. Her entrepreneurial venture in the arena of educating young minds has become a name to reckon with in the industry. Her experience in educating students spans from pre-primary to post-graduation. She is completely aware of the educational system in India and abroad. At PKSBE, Reah wears different hats, that of a counsellor, a mentor, a problem solver and a guide. She's the oil that every machine needs to run smoothly. Her exceptional experience with students has helped her carve a niche for herself. Ms. Reah Irani, Director of Operations at PKSBE, is your 'Go-To' person. She's the one point of contact that makes PKSBE endearing. Her aura exudes calmness that in her presence one feels protected. It's for this very reason that she counsels teachers, students and parents alike. Reah is the glue that keeps the PKSBE family of parents, teachers and students together. She is an indispensable human factor at PKSBE. Reah believes education is the key to set dreams right especially when it is backed with passion. Her journey into the educational world of teaching started over 15 year ago after she completed her MBA in advertising and started her very own Montessori school for tiny tots. Her entrepreneurial venture in the arena of educating young minds has become a name to reckon with in the industry. Her experience in educating students spans from pre-primary to post graduation. She is completely aware of the educational system in India and abroad. At PKSBE, Reah wears different hats, that of a counsellor, a mentor, a problem solver and a guide. She's the oil that every machine needs to run smoothly. Her exceptional experience with students has helped her carve a niche area for herself.